We spent yesterday traveling to Fortaleza so here’s a flashback to Rio. 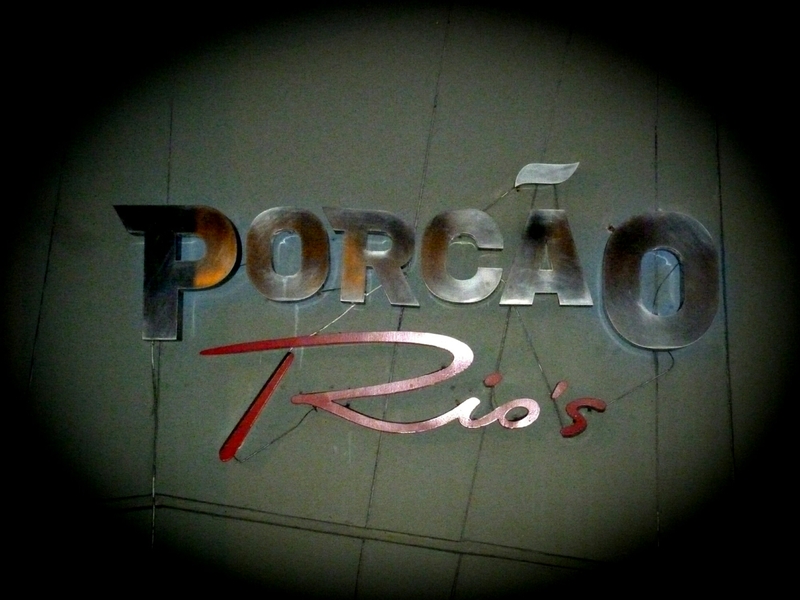 We managed a quick trip to the well known churrascaria restaurant Porcão (pronounced as per the title and pretty apt). A little large and impersonal but great quality. I’m no foodie or great reviewer so will confine myself to just a few comments. 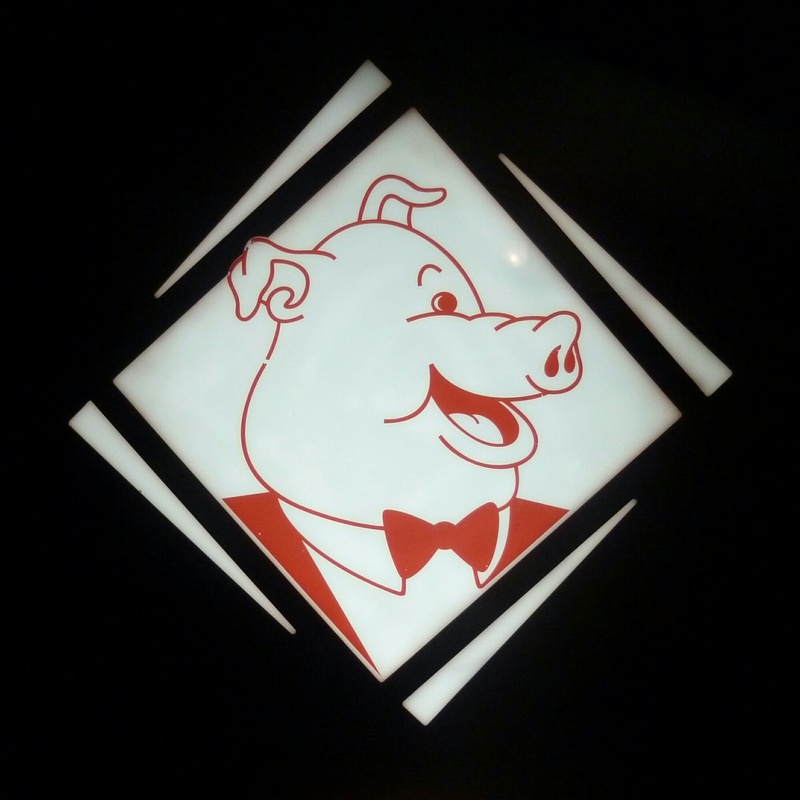 A key feature of Porcão (not sure if this applies to all churrascaria) is the ‘card’ which is green on one side (please sir I’d like some more) and red on the other (I couldn’t eat another thing, not even a wafer thin mint!). Although to be honest the staff didn’t strictly adhere to this which may be because they are used to folks who’s eyes are bigger than their stomachs. 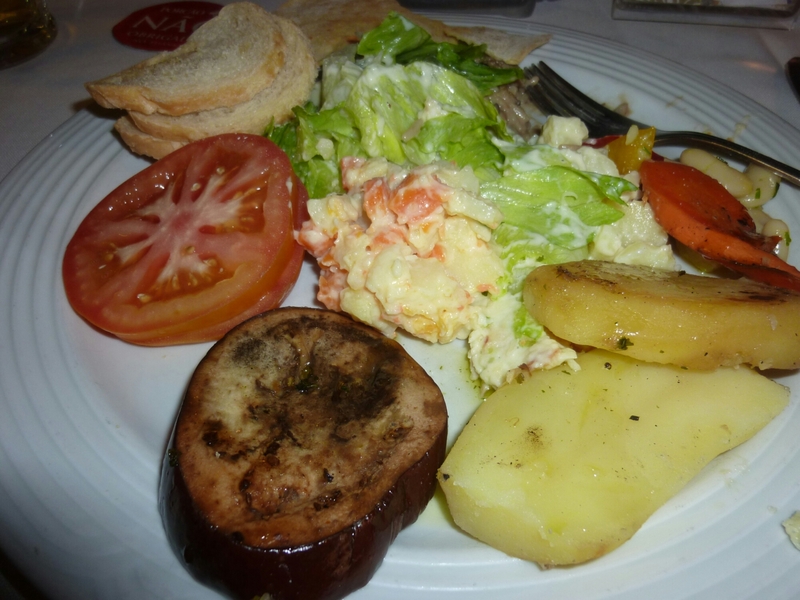 The food, on the whole, was excellent from the salad bar and the grill. 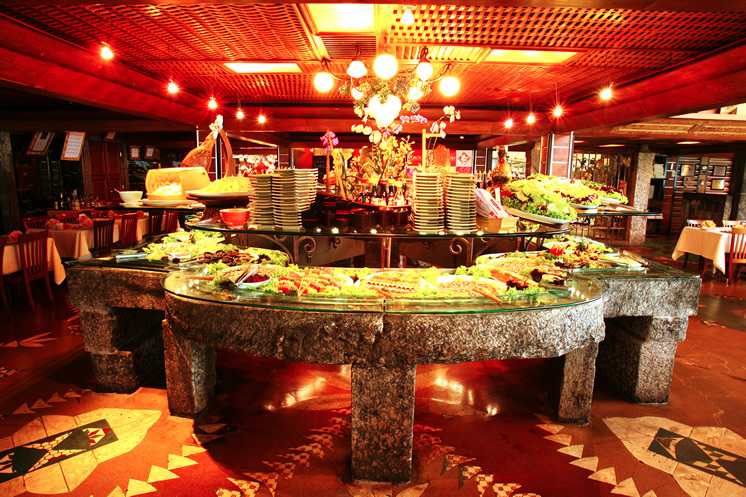 A huge selection was available at the salad bar of which the above covers maybe 10%, dishes not volume! Salad bar picture below. I also passed on the sushi bar. Moving into the meat phase of the meal (choosing the wording specifically) the selection gets a little hectic… As you can see. 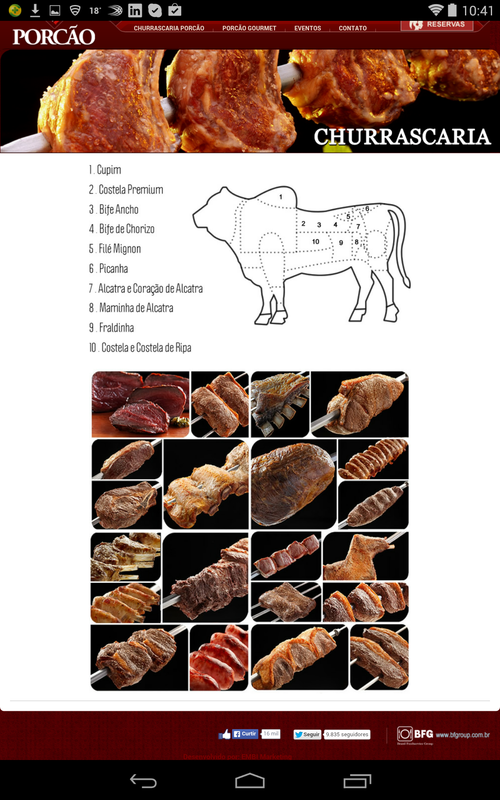 And this is just the cow, there is also pig and fowl to tempt you. 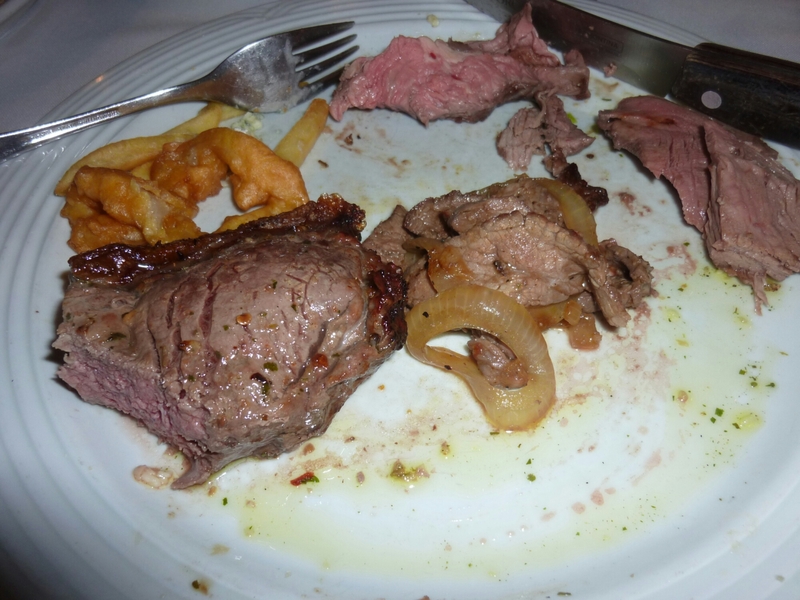 I enjoyed a small selection as my compatriots demolished various hunks of protein. With fries and ubiquitous onion rings in the mix it was quite filling.